I recently took a much needed vacation to Seattle over memorial weekend. My cousin recently joked that my life is just one long vacation… I think she failed to remember I also work Monday to Friday. Flights from San Francisco worked out at $220 which was very reasonable considering the long weekend. We found a very central AirBnB located in Capitol Hill, which is about a 40 minute walk from Pike Market and the Space Needle. The biggest cost of the weekend was transport. We decided to be extremely lazy and get Uber’s most places and unfortunately ‘UberPool’ is not yet a thing in Seattle. 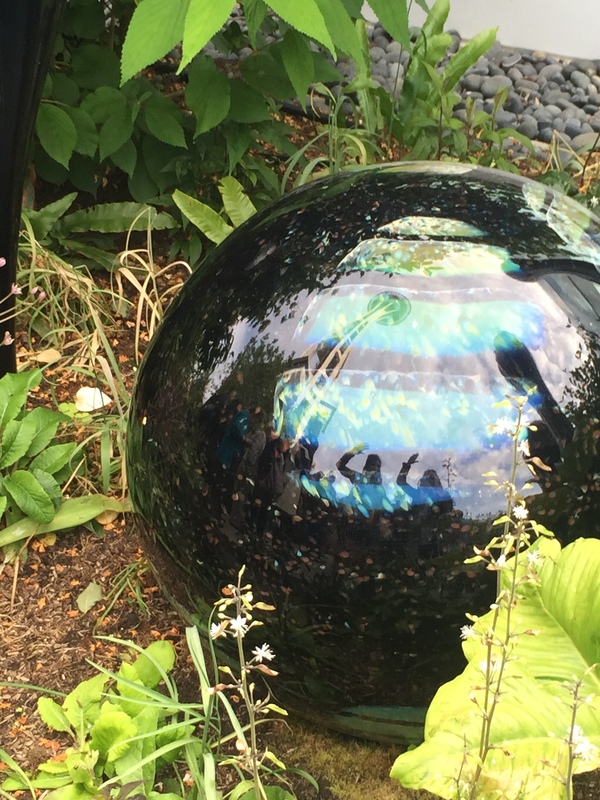 I am not a big fan of museums or guided tours but the Chihuly Garden & Glass museum is in a league of its own. The glass pieces are amazing!! I found myself looking at them and just wondering HOW. The museum offers short free guided tours in particular rooms which provides you with a better insight on Chihuly’s work. 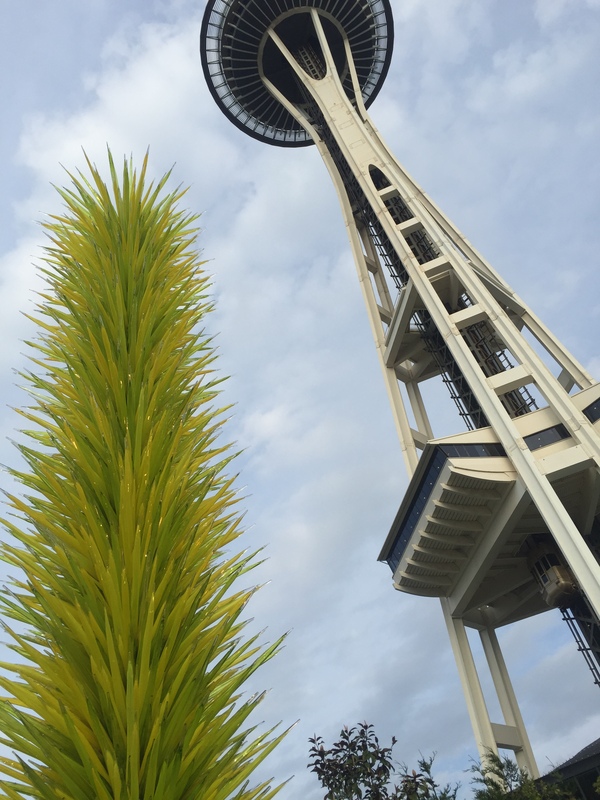 You can buy a ticket for the museum and the space needle in a bundle, saving around $5. Buying the bundle online allows you to skip the lines and is more convenient. The picture below is one of my favorite pictures from the trip. At first glance the green glass piece looks like a normal tree, only at closer inspection do you realize it is glass. To be guaranteed a table you must have a booking, so be sure to text +1-(206)-979-7049 your reservation before you arrive. 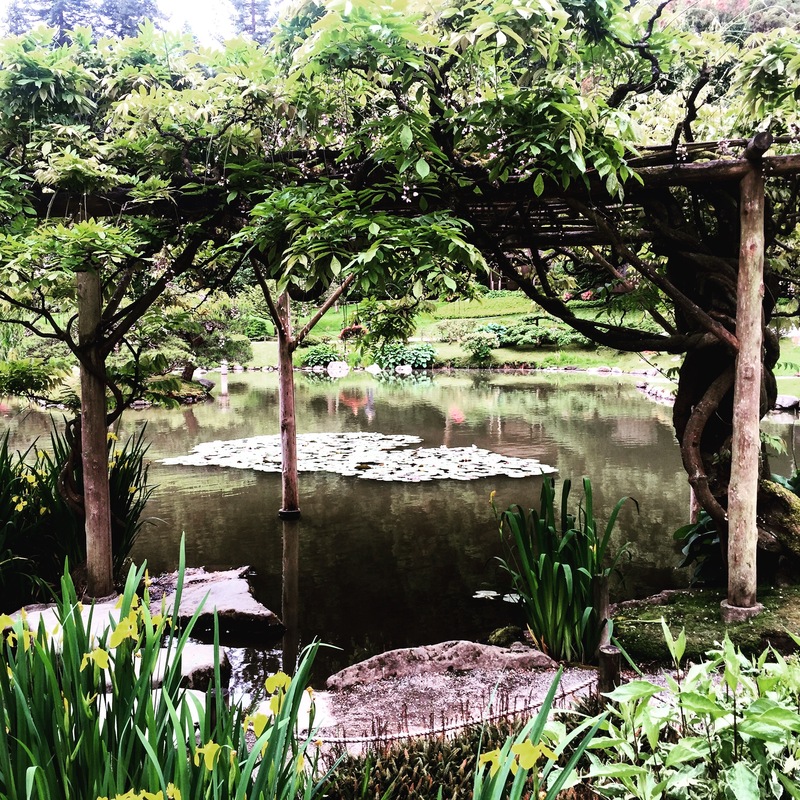 The day we went to the Japanese Garden’s was a very dull day, however, our timing could not have been better. Admission to the gardens is $6 and a free guided tour of the gardens commenced just as we arrived. The garden is very peaceful and very nice to stroll around. During the tour there was an opportunity to feed some of the fish and turtles. The garden is meant to be beautiful in the Autumn and I can see why. 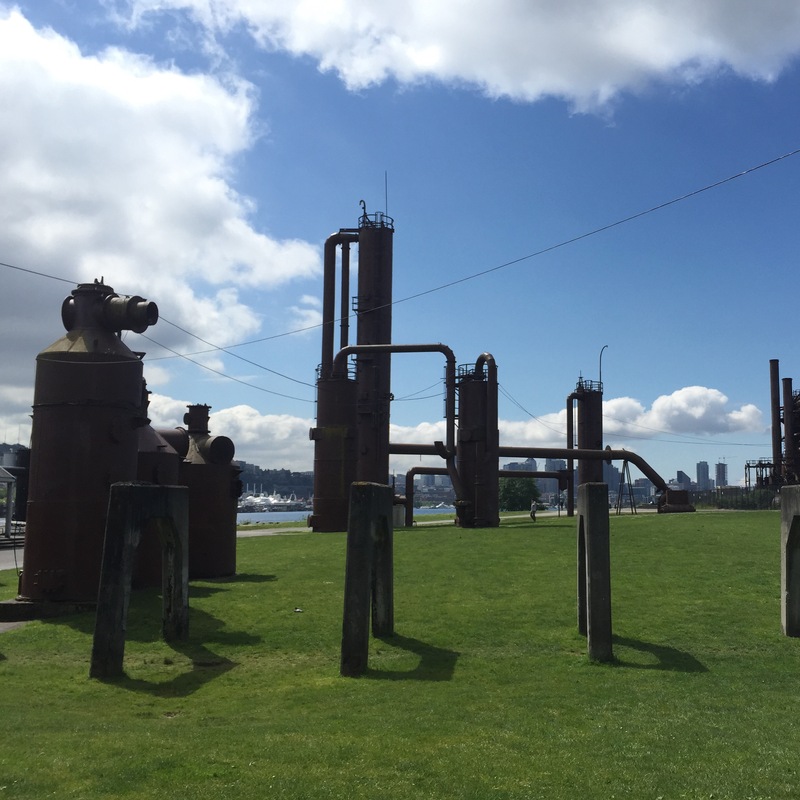 We ventured to Gas Works Park on our last day as the sun decided to make an appearance. This is a public park on the site of the former Seattle Gas Light Company gasification plant. It is the strangest parks in Seattle and there is discussion that is could be among the strangest in the world. It has also been used as a setting for various films. Throughout the trip I found it very difficult to see the picturesque Seattle skyline which is shown during the opening credits of Grey’s Anatomy and on many postcards. However, from Gas Works Park there is an incredible view of the city. This is were the picturesque skyline can be found! 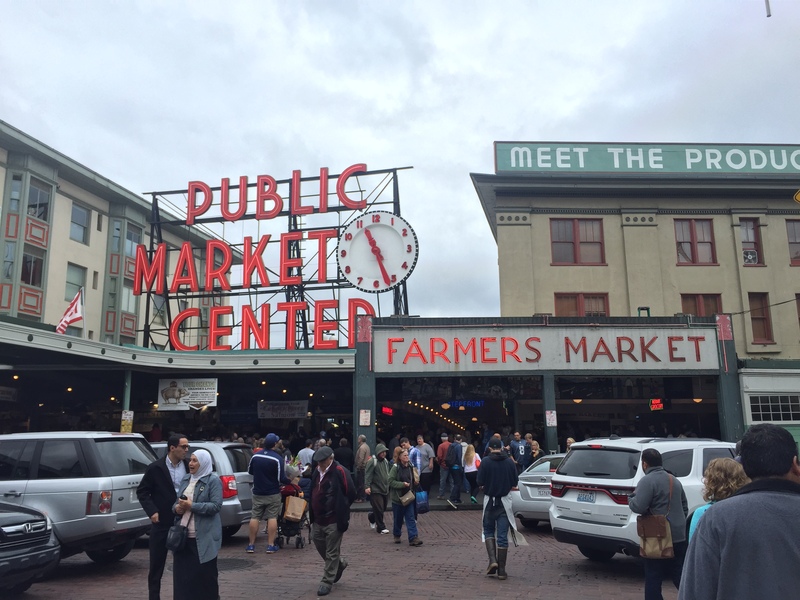 Before going to Seattle I heard many mixed reviews about Pike Place Market. Some said it was a must and others said not to expect much. My opinion, it is well and truly what it says on the tin… a famers market. What I liked about the market is that instead of being built up you go down to access other levels as the foundation is built on a hill. There is some cute little stores. We went into one particular book shop where the shop keeper seemed to be the main attraction. Be careful as when you walk in the main entrance there is a fish stall where the staff can often be seen throwing fresh fish around, something not to be missed. 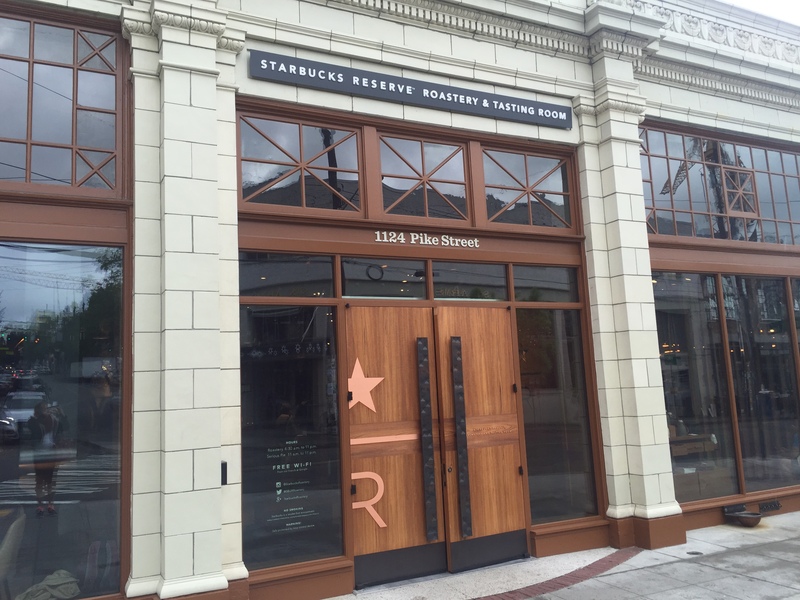 The first ever Starbuck’s is located in Seattle down by Pike Market, but realistically once you’ve been to one Starbuck’s you’ve been in them all…except this one! Straight away from the outside you can tell the ‘Reserve Roastery & Tasting Room‘ is going to be a completely different experience. For those who actually drink coffee (unlike me) this will be your heaven.